June | 2012 | God's Abundant Blessings! I’m so grateful God is in control of the universe from before time began. I’m glad we have the assurance that He cares so much for each of us that He blessed us with life-saving grace of His Son, Jesus Christ, our LORD. Kent goes on to say, “God works best through broken people who know they do not have all the answers. He can use people who have exhausted their own resources and finally realize that negotiating the tight spots of life is not something they do by themselves.” I’m so grateful God uses ordinary people, people who have walked through pain and found the joy and hope only God can give. Philip Yancey says, “The kind of faith God values seems to develop best when everything fuzzes over, when God stays silent, when the fog rolls in.” God gives more grace for each trial and burden that comes our way. 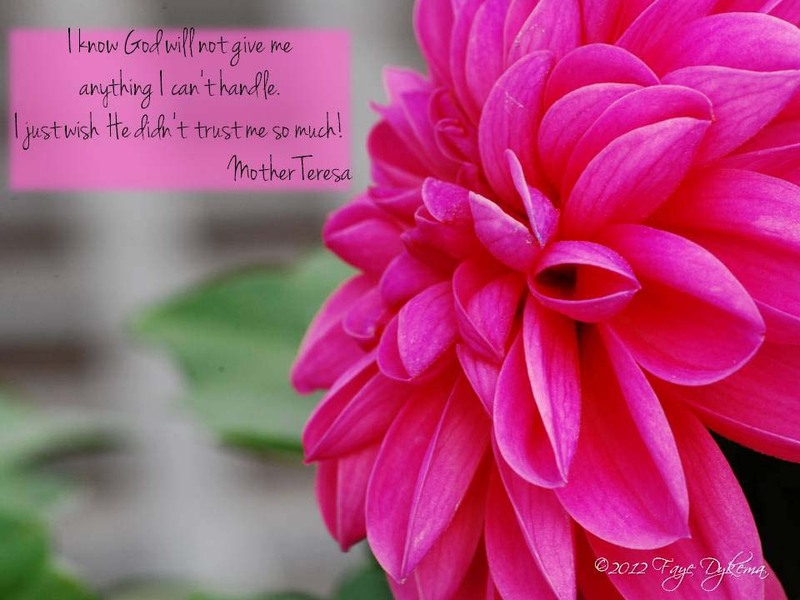 The more we rely on Him, the more He answers and provides for us in ways that could only come from His hand. Abundantly grateful for God’s presence through the difficult circumstances of our lives. 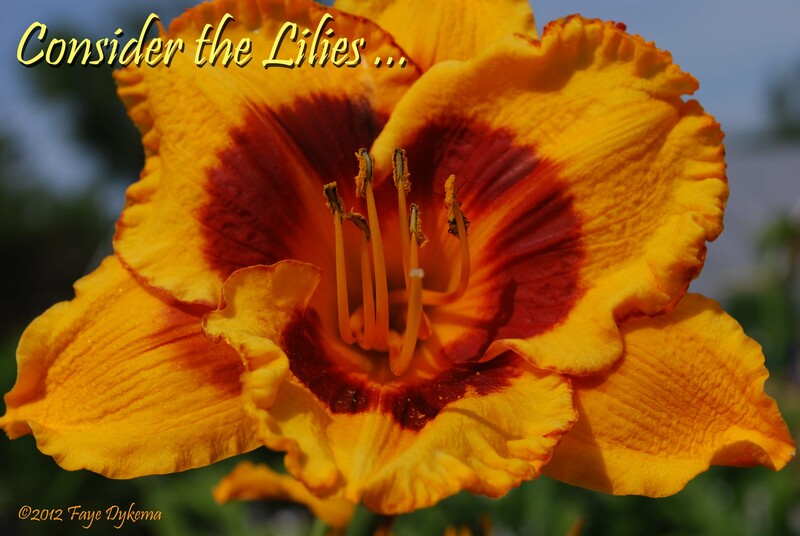 Dressed in all its finery given by God, the lily shines forth it’s praise, giving God all the glory. How much more should we lift our hearts and voices in praise to our Creator, Savior and Lord. 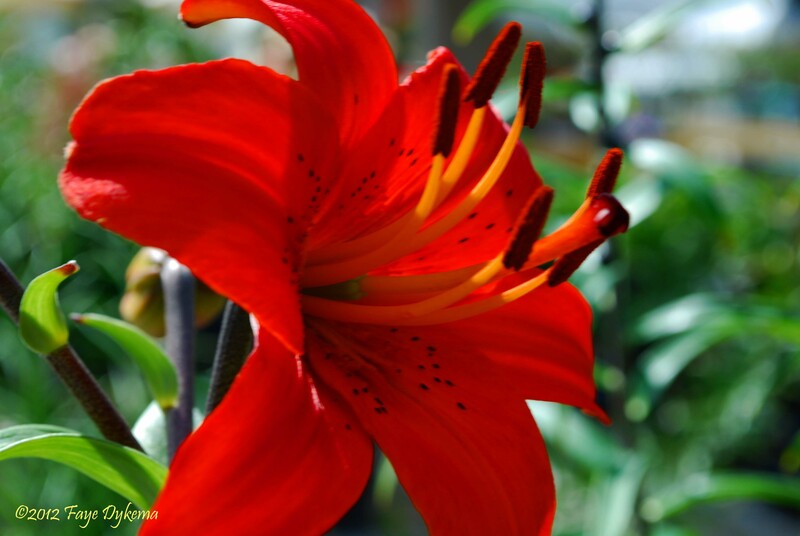 The lily is a beautiful creation, without heart or soul. We are created with heart and soul. 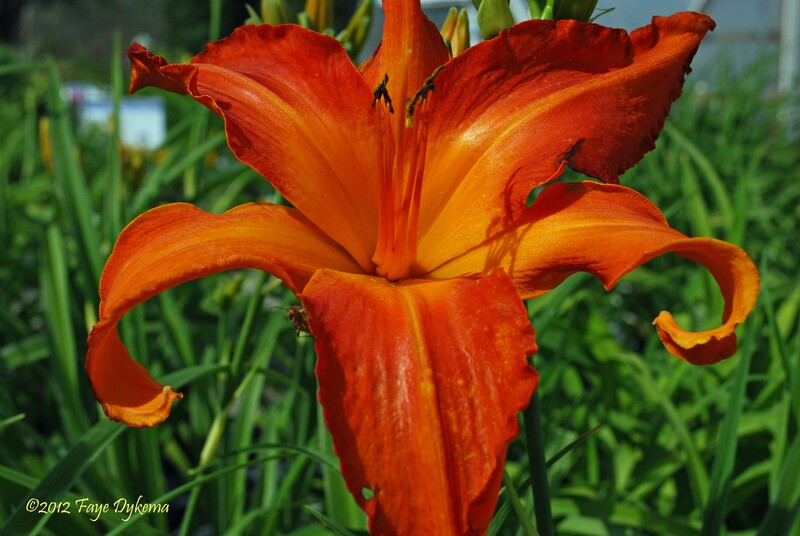 The lily opens in resplendent beauty for others to enjoy. We are made to give our Creator glory from hearts that are filled with joy. What an incredible comfort and blessing! God watches over us. We need sleep. Many flowers close up at night for protection and rest. Many animals seek cover at night and rest, or if they are “night owls”, the rest during the day. But we have the wonderful knowledge that God NEVER SLEEPS. 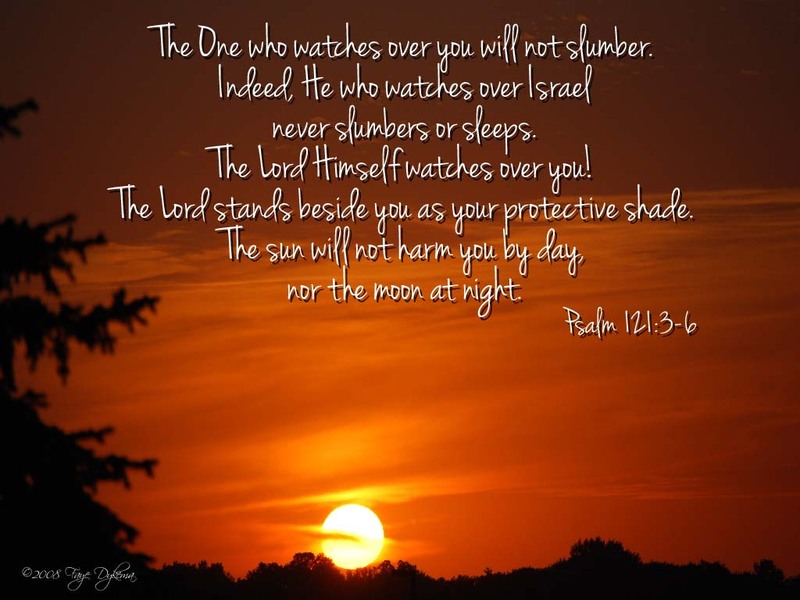 He is constantly watching over each one of us. Not just in the small town of Palo, or the larger metropolis of Cedar Rapids, or even just the United States. God watches the entire UNIVERSE. Nothing is out of His control! 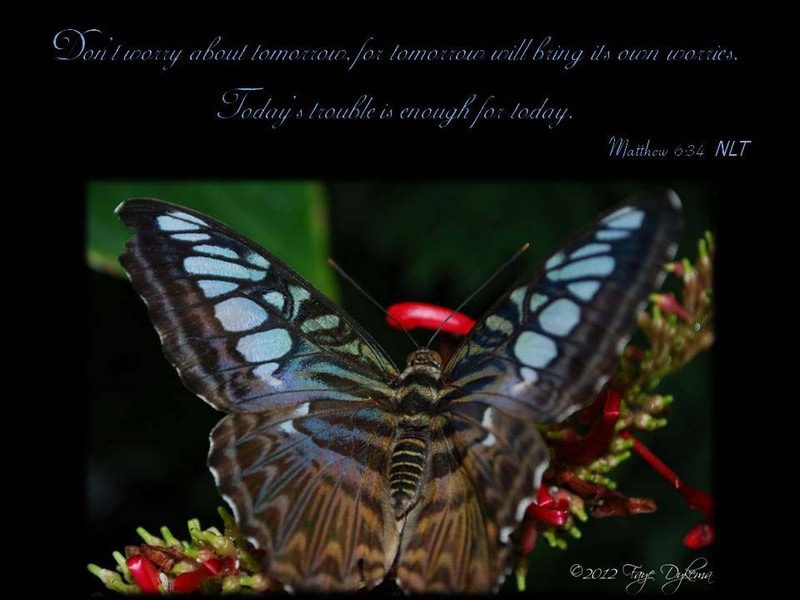 Begin the day remembering you are loved and chosen by God. He is your Creator and you belong to Him. In order to maintain tranquility throughout the day – RELAX. It is a skill that we must accomplish – learn to relax. It is necessary for a REST-FILLED day. Life has so many unexpected adventures and experiences. How difficult life can get for some that they end up overwhelmed, struggling with depression, health issues, financial burdens, to the point where they can’t cope and just can’t find peace. Recently someone I used to teach in youth group decided to end his own life. There are so many unanswered questions when someone decides this. It is such a burden and loss for the family and friends left behind. It leaves such an incredible void. It really made me do some serious thinking once again about what is really important. In my small circle of friends, family and acquaintances, there are people dealing with all types of issues: divorce, financial difficulties, job uncertainties, infertility, countless health issues, problems with parent-child relations, problems with other relationships, and job stress. Life is full of trials. My husband had a heart procedure in January and will face another in July. I find myself playing one of my not-so-favorite games – “What-If?” I’ve done it with so many changes in life. I should realize it is such a waste of precious time and energy (and sleep). Instead, over and over I play the different scenarios of what the future holds. Competency to deal with things as they arise and the confidence that goes with it are essential to serenity. I am challenged by that quote to be filled with the truths of the verses above. I find myself becoming concerned and then progressively worrying about life’s issues: Will I get something in writing to post on this blog? What lies ahead with Rich’s procedure? Will the pain in my friends’ lives ever go away? Will a planned family gathering go well? Will the health of family members improve or continue to decline? The list is seemingly endless. “I tell you not to worry about everyday life—whether you have enough food and drink, or enough clothes to wear. Isn’t life more than food, and your body more than clothing? Look at the birds. They don’t plant or harvest or store food in barns, for your heavenly Father feeds them. And aren’t you far more valuable to Him than they are? Can all your worries add a single moment to your life? If I take the time to remember that God is in control, so I don’t have to worry about the details, I am so much better off and filled with His peace and serenity.